Early autumn care for the lawn is helped by an understanding of what’s been happening beneath the surface. 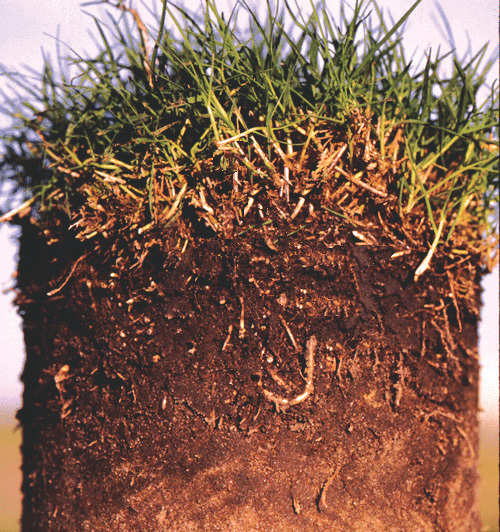 A summer of walking, playing and generally using the lawn has caused the soil to compact which prevents air reaching the roots. Some of the grass has gone through the natural life-cycle and has died. Fresh grass is germinating from seed in the soil or windblown seed. Use of fertilizer and the presence of moss join these other factors in the build-up of thatch, the dead growth at soil level. It needs to be removed if you are to have a healthy lawn next year. September is the ideal time for scarification, the removal of thatch and moss. The thatch can’t break down by itself and it creates the ideal conditions for disease, preventing air and nutrients from reaching the grass roots. It also becomes an ideal home for insects and chokes any fresh growth. So you need to scarify and remove most of the thatch. First though, you need to mow the lawn quite short, dropping the mower cutting height or the height of the cutting deck on a garden tractor. This is best done over two or three mowings. Then you can scarify with a powered scarifier or one that uses the Power Take Off on the garden tractor. Treat it with respect because the knives will cut the thatch out but you want to keep your lawn! Start with a shallow depth to start with and then go over it again at a different angle with a slightly deeper cut. It will look a bit of a mess but it’s easily cleared up and best dumped in the compost to rot right down. Now the lawn will be ready for the rest of its autumn care.